Last night was the first time I decided not to leave my apartment almost entirely because it was too cold outside. I have a sneaking suspicion this marks the beginning of the end (at least for the next few months). Since I arrived in Mongolia, there has been this sense of impending doom that hovers like a cloud of smog over the city. Nearly everyone I’ve met has warned me of the coming cold. I couldn’t help but be reminded of (nerd alert) ‘Game of Thrones’ when they say, “Winter is coming,” with a hint of restrained fear and also paternal warning. Just this morning, in my Mongolian language lesson, my teacher explained to me (in Mongolian!) that today it was only -18 degrees C (-1 degrees F), in just a few weeks, it will be -30 degrees C (-22 degrees F). Later, a Mongolian friend explained that this is very warm for this time of year and soon it will actually be cold. Street merchants have been selling camel and yak wool socks, all sorts of long underwear (including fur-lined), and a myriad of hats, mittens, and scarfs for the past month or so, but suddenly these all seem more urgent. I’ve also noticed that people who tend to dress in traditional Mongolian garb have added a felt boot cover to their normal footwear. While this giant-looking foot seems comical at first, I am never more a fan of function over fashion than when faced with extreme weather. Please don’t get me wrong. I am absolutely not complaining (well, maybe a little). I’m mostly amazed at how people can live in such challenging environments. 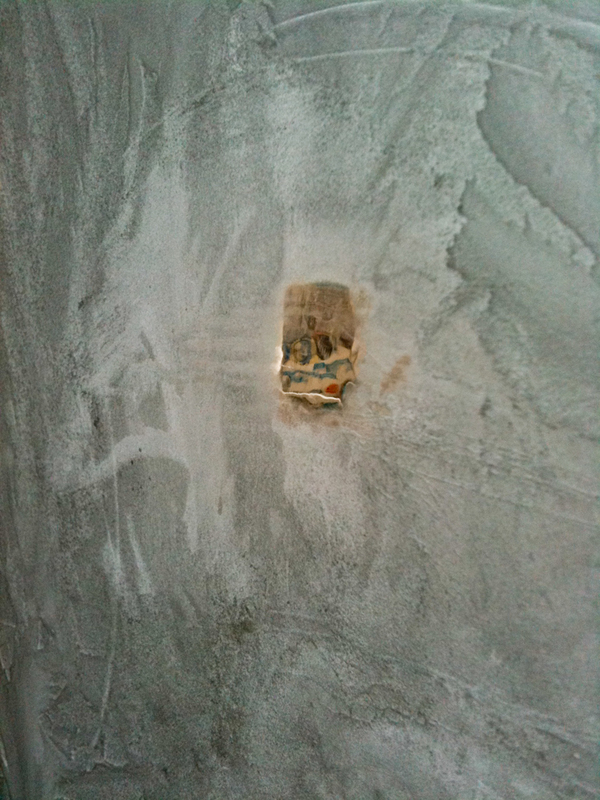 Thus far I have no problems with hot water and heat in my building. But many Mongolians live in gers (yurts) heated by a small stove in the center of the structure and have to go outside to use a communal water source. 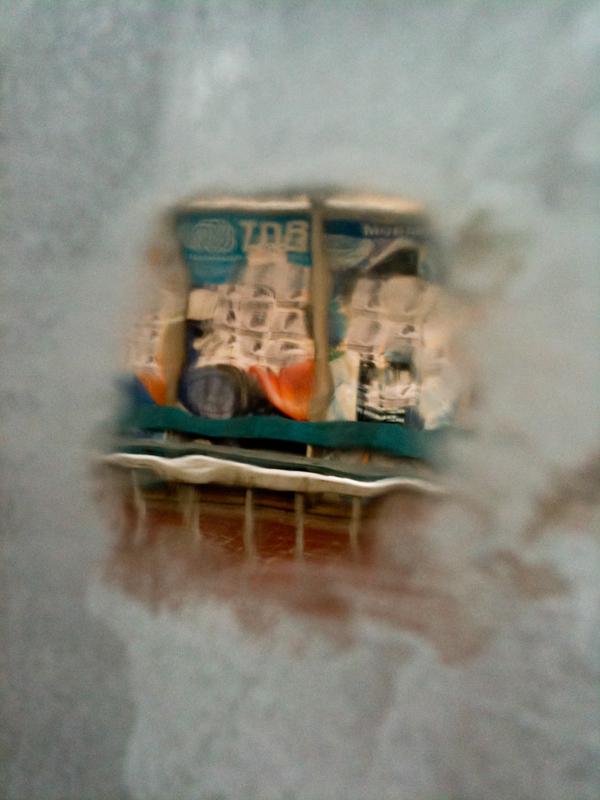 Of course, the gers are built for this kind of weather, and I haven’t seen many people complaining. 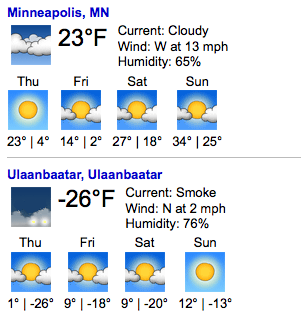 Perhaps I am indulging my masochistic side a bit, but everyday I’ve been comparing Ulaanbaatar’s temperature to that of Minneapolis, MN (where I’m from originally). Here’s the current forecast (as of 8:00 pm UB time). Note the current condition reads “Smoke”. I’m sure this will not be the last time I have something to say about the cold here, as it is something that can not be avoided. But for now, I’ll leave you on a positive note. 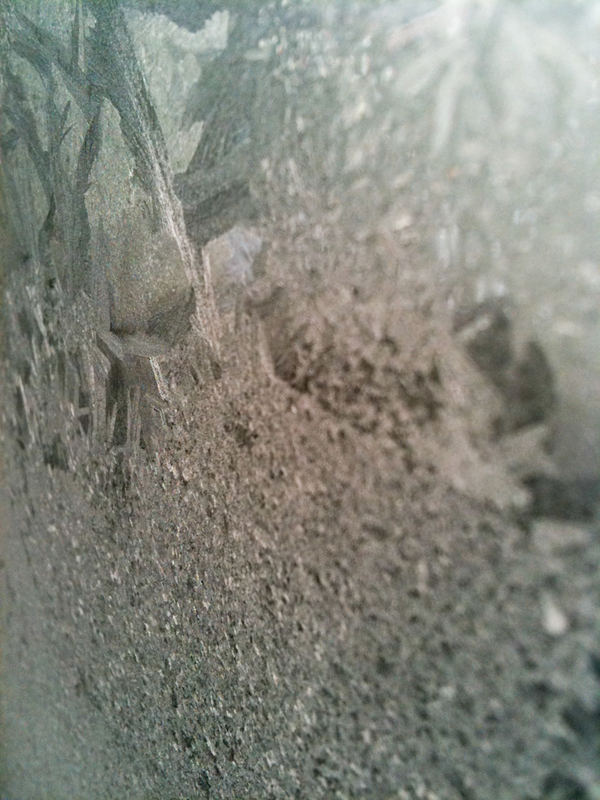 The cold causes the bus windows to frost in lovely patterns at times. 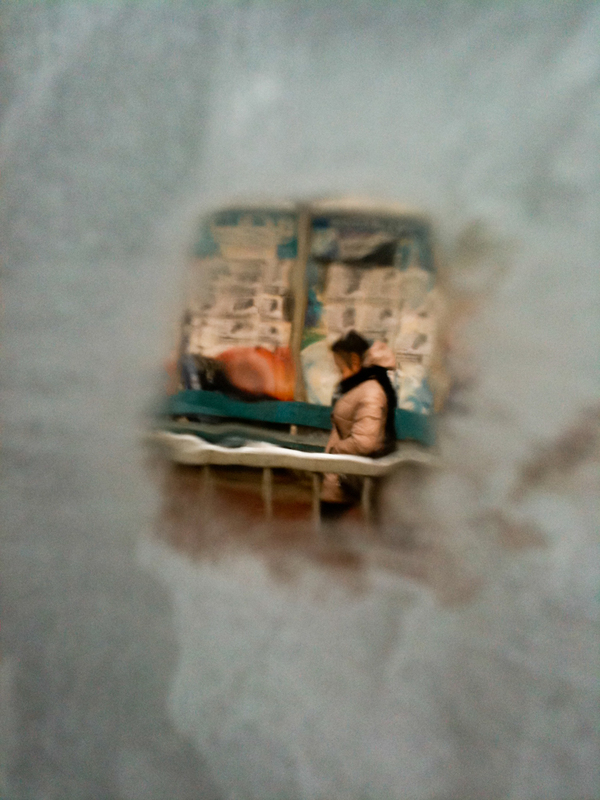 When all of the windows are frosted over, one has no choice but to melt the frost with body heat, which creates a pleasant-looking miniature window through which to find your bus stop. Fine, I’ll stop bitching about Minnesota. 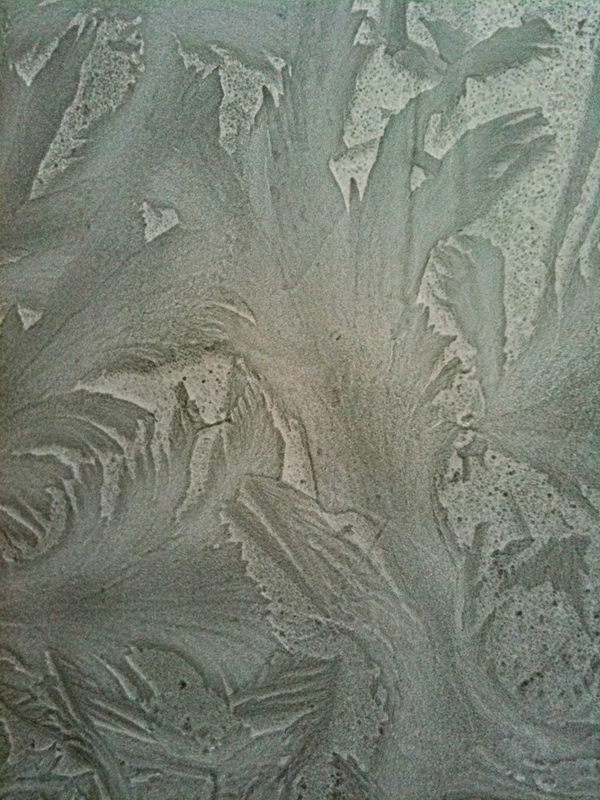 On the upside, those ice patterns are stunning. loving the photos lauren! and the writing – keep it up. and get some camel fur accessories – they’re awesome!